Rennco provides machines for industrial laundry companies including hotels, resorts, and hospitals through the vertical laundry bagger system.The Vertic L-PP laundry bagging system uses a light screen cycling mechanism to count items per package, giving companies a cost effecting solution to other pre-made bag operations. The Vertic L-PP system also has an optional weigh scale alternative to the light screen cycling mechanism. Rennco’s vertical laundry bagger system is easy to use, cost effective, and reliable. Laundry is transported from upstream equipment to the hopper area. Then, it advances toward the operator station, where an ergonomically friendly platform raises the operator 20-inches from the floor. The operator "tosses" the laundry items into the pouch area through the light screen, which keeps track of the number of articles per bag. When the count is reached, the machine cycles and produces the bag. The operator continues to load each group of laundry during the time in which the machine is cycling. After each bag has gone through the operation, the finished package exits on a conveyor to the customer specified height. For a Dual system option, the Vertic L-PP has two operator load stations and two sealing systems, increasing output from the bagging operation. Features of the vertical laundry bagger system include the touch screen, vertical film roll placement, bag tapper and trim-less seal system so there is no material scrap.The touch screen includes a recipe selection for package specifications. The vertical film roll placement makes it easy to change the roll stock material. And finally, the bag tapper assists in the distribution of the products within each package. To use the vertical laundry bagger system from Rennco, there is an air requirement of 0.6 CFM per machine cycle at 80 PS. An electric requirement of 120 volt, one phase, 60 Hz, and 10 to 15 amps is necessary. For maximum efficiency, the speed of the machine is approximately 4,000 products per hour, though it does depend on the product count per bag. Effective and efficient, the vertical laundry bagger system, by Rennco, is a practical solution to industrial laundry needs. With incredible ease of loading and an increase in production speed, the vertical laundry bagger system is a technologically advanced way to meet laundry needs. 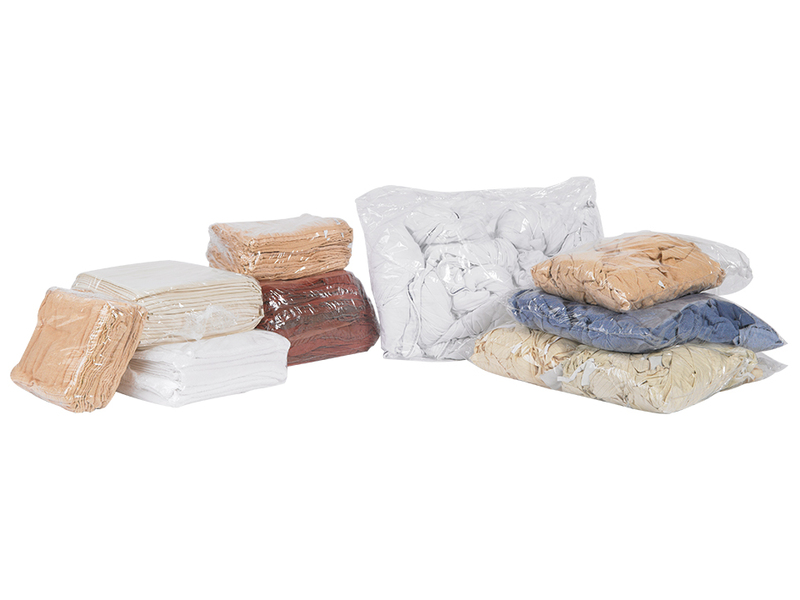 The bagging equipment from Rennco is designed to provide the hotel industry with quick and effective methods of bagging laundry and towels. 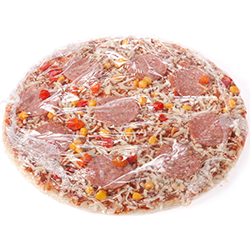 With a choice between semi-automatic and automatic vertical bagging machines, Rennco offers custom poly bagging and bag sealing equipment. Packaging solution ensure that the hotel industry has the efficiencies necessary for customer satisfaction.With the vertical bagging solution you enjoy reduced labor costs and increased time efficiencies. 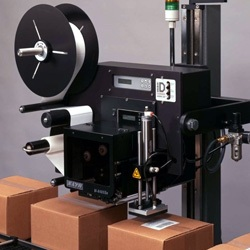 The semi-automatic vertical bagging machines offer reliability and versatility and are equipped with a unique sealing assembly. Ensure that your laundry is safe and secure with the vertical bagging equipment from Rennco. 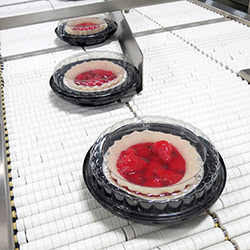 Automatic vertical bagging machines offer benefits of speed and precision. Designed to match the numerous needs of the hotel industry including laundry and cafeteria departments, Rennco has several available automatic vertical bagging machines. When you’re looking for quality bagging equipment for hotel departments including laundry, Rennco is the perfect solution. 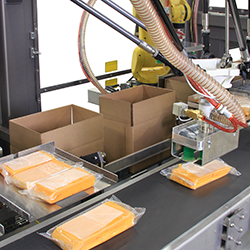 With a variety of semi-automatic and automatic vertical bagging machines, you’ll see an increase in production rates in no time. Solution developed for Partagec. Read customer success story here!